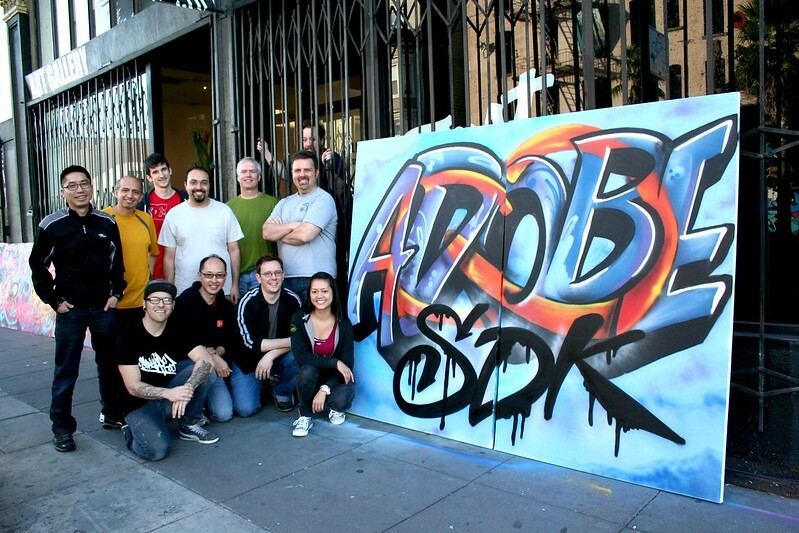 Adobe creates a custom take-home mural! 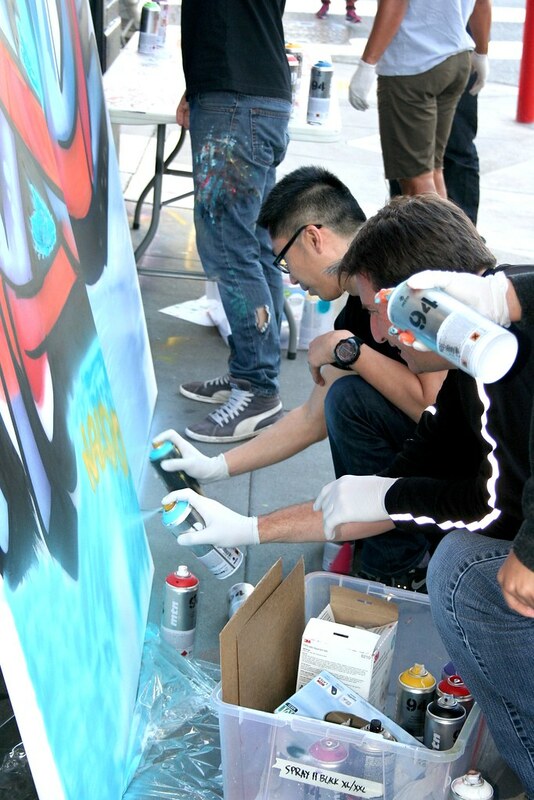 The Adobe team stopped by for a Happy Hour and mural production workshop at 1AM where they learned about street art and made their own mural for their office, it was great to meet them! Email privateevents@1AMSF.com to setup an event for your team! « No surface is safe when Learnist spends the afternoon!